We welcome international students at HMKW. Incoming students from our partner universities and those who are interested in finding out more about the Erasmus+ Program at HMKW can find useful information below. If you have any questions not answered here, please contact our International Office staff. Are you looking for a postgraduate degree program? At our Berlin Campus, all our Master's courses are taught in English. HMKW is a young university of applied sciences with three locations across Germany: Berlin, Cologne and Frankfurt. Our international offices at the Berlin and Cologne campuses coordinate student exchanges. Erasmus students may choose either of our three campus locations. While Master courses are taught in English at our Berlin campus, please note that all Bachelor courses and exams are being held in German. Many language schools in Berlin, Cologne and Frankfurt offer German classes, which we recommend to everyone who needs to brush up on their language skills before starting a course at HMKW. We are always happy to help with information and addresses if needed. In Berlin, you might for example have a look at the school berliner ID, which is located in the same building as HMKW. We have implemented the principles and practice of ECTS and can issue transcripts for all regular and incoming students in ECTS compatible format. Also, while there are no extra semester tuition fees for incoming students, the "Semesterticket" (student ticket to use local transport) has to be paid by each incoming student individually. To apply for an exchange semester, you must be enrolled at one of our partner universities and have completed your first year there (first 2 semesters). Please submit your application for an Erasmus stipend at your home university. 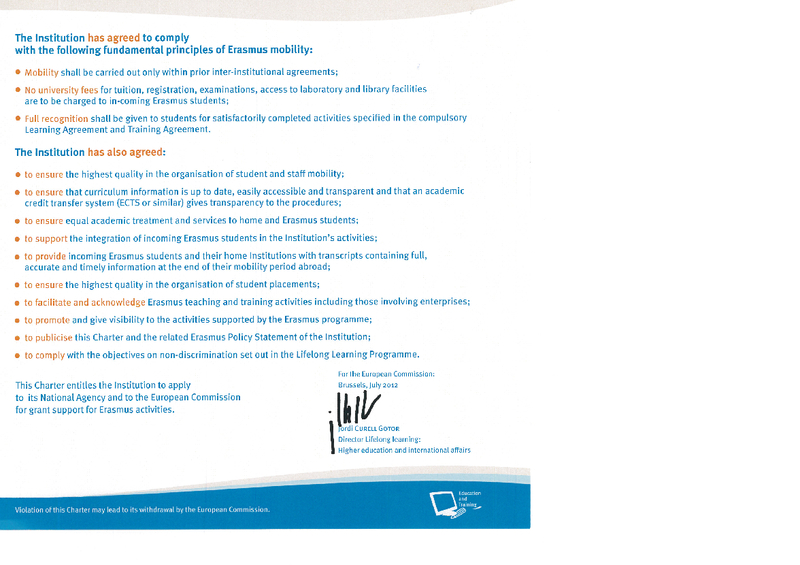 You have to be selected by your home university in order to be accepted as an Erasmus+ exchange student at HMKW. Your home university will then submit their official nomination to us. Please check with your home university for application procedures. We will also need a full ECTS Transcript of Records (including all courses attended and grades awarded, signed and stamped), a passport photo and a copy of the first page from your valid passport. Finally, you need to have minimum medical coverage whilst studying with us: a European Health Insurance Card or proof of medical insurance from your home country. Alternatively, you can get German health insurance for the time of your stay. We also recommend you make sure that your liability insurance policy covers you abroad in case of unexpected events. We wish all of our incoming students a great stay and memorable experiences at HMKW in Berlin, Cologne or Frankfurt!